MAJOR shortfalls have been identified in disability access at many of Northern Ireland’s most popular visitor, tourist, cultural and sporting attractions – potentially affecting the lives of over 300,000 people and their families. The findings by Detail Data are published today as the charity Disability Action also raises concerns about Stormont’s Disability Strategy which promised to raise awareness and improve opportunities and services for people with disabilities by addressing the inequalities and tackling the barriers they face in their daily lives. Last year the existing strategy, which was due to end in 2015, was extended to 2017. Responsibility for it was also transferred from the former Office of First Minister and deputy First Minister (OFMDFM) to the new Department for Communities (DfC). There are 18 targets in the strategy, however DfC said it could not say how many of these targets have been met or partially met, stating that this is something they will be “analysing in the coming weeks”. The department also confirmed that it has not yet started developing a new strategy for after 2017. The 2011 census found that 207,173 people in Northern Ireland have problems with mobility or dexterity; 93,091 have deafness or partial hearing loss and 30,862 have blindness or partial sight loss. One quarter of all families include one or more adults living with a disability. Detail Data surveyed venues across Northern Ireland on provision for people with mobility, hearing and vision issues. This included staff training, information provision and seating availability. Around 60 venues, including sports stadiums, theatres, museums, concert/arts venues and other visitor attractions were asked to complete the survey. In total 40 venues responded to the survey request, with venues in each of the 11 council areas contributing. One quarter of venues said that all levels, floors and areas were not accessible to wheelchair users without assistance. Nearly half of the venues (17) said front facing staff had not received disability training in the last three years as recommended by Disability Action. Half of the 40 venues said printed material was not available in larger format, while 27 said printed material was not available in Braille. A number said such material was available on request. 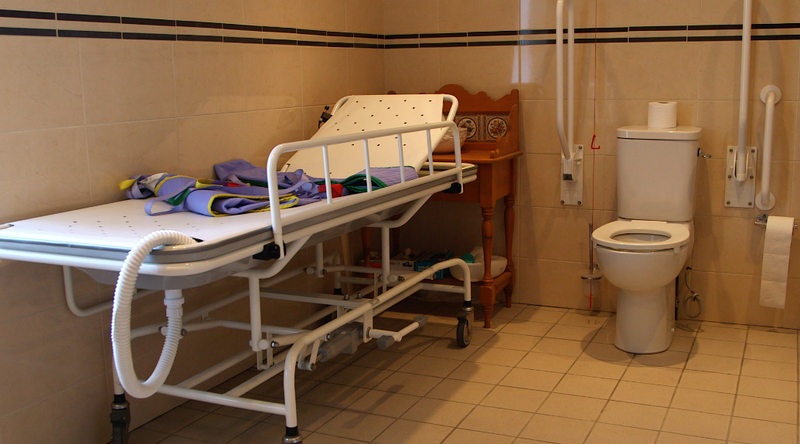 Although 39 of the venues have disabled toilet facilities, just six have a Changing Places bathroom which has extra features, like a changing bench and hoist, and more space to meet the needs of people with disabilities. A total of 29 venues said front facing staff had no training in British or Irish sign language. 12 venues do not have an audio loop system for hearing aid users whilst half have audio-visual or captioning services. Click on the map above to see the key findings for each venue. All the data collected in this survey can be viewed here. Campaigners said many venues could do better, but that there was a burden on government to give a clearer lead as to what was expected from the facilities. Dermot Devlin runs the My Way Access website. Dermot Devlin is a wheelchair user who runs My Way Access, a directory style website that contains details of attractions and how suitable they are for visitors with disabilities. He said the findings of the Detail Data survey reinforce his experiences at many venues, with staff training and information issues prevalent. “In a lot of venues the staff aren’t trained, at a very basic level, in how to react to people with disabilities. People can be patronising,” he said. “I’m 36, but I’ve been in places where people talk down to me. There are people with disabilities; in a wheelchair or with a hearing problem or with eyesight problems and they are still getting this sort of stuff. Orla McCann, Disability Action’s Assistant Director for access, planning and transport also believes that information provision must improve. "The first most basic aspect is knowing what physical features are there," she said. 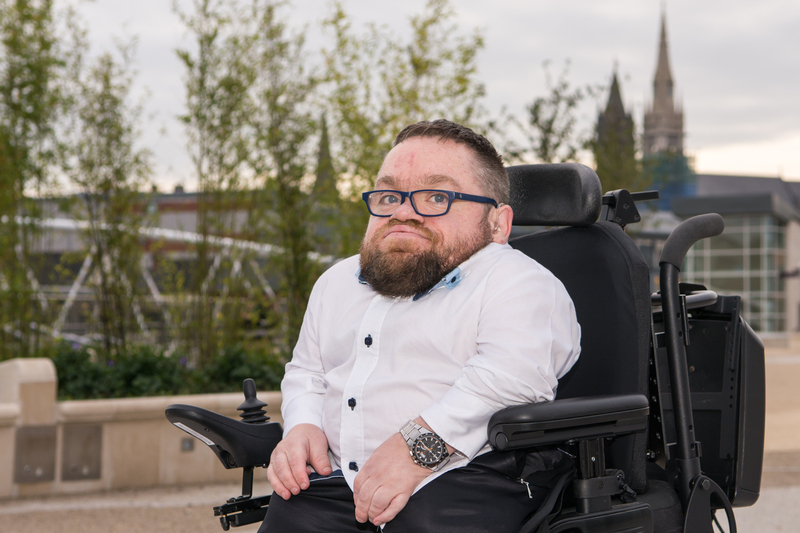 "Knowing is there parking there, are the toilet facilities there, can I get in to the building, can I make my way around the building, will there be a loop system there, will they have other communication aids there? Just the most basic requirements. People need that information up front before they actually go to visit a place to know their journey is not going to be wasted." Royal National Institute of Blind People (RNIB) senior manager Barry Macaulay said improved staff training would make a huge difference to customers with disabilities. “I have been in this field for 12 or 13 years and unfortunately I am still lobbying for the same things,” he said. In addition to issues relating to staff training, the survey responses highlight that 34 of the venues do not have a Changing Places bathroom. This has extra features (eg changing benches, hoists, peninsular toilets) and more space to meet the needs of people with profound and multiple learning disabilities, as well people with other physical disabilities such as spinal injuries, muscular dystrophy and multiple sclerosis. According to Paul Toner, of Strangford Bay Lodge in Portaferry, which provides holiday accommodation for individuals with a wide range of disabilities, Changing Places should be a feature of every visitor attraction. “Changing Places is the difference between go and stay at home,” he said. The survey also found that a quarter of the venues do not offer access to all areas/levels for wheelchair users. According to Orla McCann, legislation should ensure that there is no ambiguity. “In terms of physical accessibility requirements and construction – whether that is new build or refurbishment, I think it is very simple. Every new project, particularly those that include public money, should have an access consultant as standard,” she said. In a bid to tackle the level of exclusion experienced by many people with disabilities, the Office of the First and Deputy First Minister (OFMDFM), which is now called The Executive Office (TEO), launched its Disability Strategy in 2013. The strategy was originally due to run until 2015. However, in 2015 the strategy was instead ‘extended’ until 2017. Since then responsibility for the strategy has transferred to the new Department for Communities (DfC). A number of policy officials have also moved to the new department. Earlier this month Detail Data requested a progress report from DfC on each of the 18 strategic priorities in the Disability Strategy. These priorities include commitments to improve social inclusion, raise awareness of rights, access provision to the physical environment, transport and communications as well as increasing the level of choice, control and freedom for people with disabilities. In response DfC said it was awaiting delivery of progress reports from The Executive Office (TEO). Detail Data then contacted TEO who advised that the reports have since been passed on to DfC. Detail Data again asked DfC for progress reports on each of the 18 targets with a response stating that: “The Department for Communities has now received progress reports from the Executive Office. "We will be analysing the reports to ascertain progress against the strategic priorities in the coming weeks. This will help to inform how we develop disability policy in line with the new Programme for Government and we will engage closely with the sector as we progress. Detail Data asked DfC if preparatory work for a new strategy, which will be implemented post 2017 had begun. In a statement DfC said: “As the existing strategy had already been extended to 2017, work to develop a new strategy had not yet begun. Karen Hall, Disability Action’s Assistant Director with responsibility for policy and external relations, said the lack of clarity relating to the progress of the existing and future strategy is disappointing. “What we want is real tangible actions to be taken, and resourced,” she said. "We welcome that the draft Programme for Government has included a specific indicator on disability and we hope that this will mean tangible actions going forward." Detail Data asked Tourism NI for details of how it promotes and encourages facilities for disabled people at tourist/visitor attractions. In response a Tourism NI (TNI) spokesperson said: “Tourism NI does not endorse a specific accessibility designation scheme or provider, however we encourage tourist accommodation providers and visitor attractions to produce self-completed Access Statements in line with best-practice guidelines of the Equality Commission NI. “We encourage accommodation providers to provide any additional accessibility information or accessibility designations within their own marketing materials. “TNI encourages individuals and organisations working in the tourism industry to undertake training through the World Host Customer Service Programme to raise awareness of customers with disabilities. Orla McCann of Disability Action believes that a more proactive approach should be taken in relation to disability friendly tourism development. “We believe that TNI could be doing more to ensure that industry providers address the access needs of people with disabilities,” she said. Although our survey highlights a number of challenges to be overcome, it also identified a number of positive examples. For example, 33/40 venues confirmed they offer disabled parking and 38 venues reported that guide dogs have full access to their premises. However, only 33 venues allow assistance dogs, which aid people with a range of disabilities, full access to their premises. According to Kevin O’Neill of Disability Sport NI, there are also good examples of building improvements. “The Inclusive Stadia Advisory Group developed a set of technical guidelines for the three refurbished stadia. So there was a really good set of technical guidance and that informed improvements at the Kingspan Stadium (Ravenhill) in Belfast where provision has improved dramatically. “The national football stadium (Windsor Park) has incorporated a lot of changes and is planning to do more and the GAA and Casement Park shouldn’t be too far behind. According to Barry Macaulay (RNIB), audio description is an effective tool. “Just because you can’t see the match doesn’t mean you can’t experience it. With a very simple bit of equipment, a blind person can hear the audio description from a commentator and it means they can actively know what is happening both in the action and in the ground instead of being cut off from it. Ulster Rugby confirmed that a similar audio description service has been available at Kingspan Stadium since November 2015. A sample of this commentary can be listened to below. In 2014, the Department of Work and Pensions published research which highlighted that UK households with a person with a disability have a combined income of £212 billion after housing costs. The research also showed that people with disabilities find shopping the most difficult experience for accessibility, followed by going to the cinema, theatre and concerts. Disability Action’s Orla McCann said similar research is required specifically for Northern Ireland to evaluate the potential spending power of people with disabilities – something that is known as the Purple Pound. “I believe a piece of work needs to be done to identify the value of the purple pound when you take into account family and friends who will avoid a venue because their family member/friend cannot join them,” she said. Venues are also invited to update/amend their details as and when relevant. The full survey results can be viewed here whilst the latest version of the interactive map can be viewed here. Following an initial survey late last year, Detail Data contacted each of the venues again in June 2016 to check for any changes in their disability access provision. Six venues did not reply. We will update their information with any additional response if it is received.